Sarah has a diverse background in theatre, film and video production. 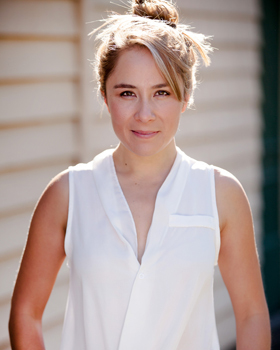 She has worked as a News and Video Producer, TV content producer, camera operator and editor with various networks and production houses including Beyond The Break, Yahoo7, MTV Networks Australia, Gravity Media, Certainty Advice Group and Tim Bonython Productions. She created her company, Catch That Wave Productions in 2007. Sarah holds a BA (Hons) in Media Arts and Production and a BA in International Studies. Since graduating from the Actors Centre Australia (ACA) in 2012, Sarah has been performing regularly both on stage and screen.